I’ll be the first to admit I’ve never been a fan of Anchorman and all of its sayings that some fans will spit back at you ad-verbatim like it’s still a fresh and exciting movie, and not something that’s now eight years old. But one quote, or scene, does stick with me – and that’s the one in which Steve Carell‘s character just exclaims “LOUD NOISES!” as his contribution to an argument. It was funny. It was apt. So why am I bringing this up in a review that’s not for The Campaign? Well, because I don’t think there’s any other phrase, spare “LOUD NOISES!” that really sums up horror movies of the past five years. Does Sinister follow this well trod path, or is it something altogether more… sinister? 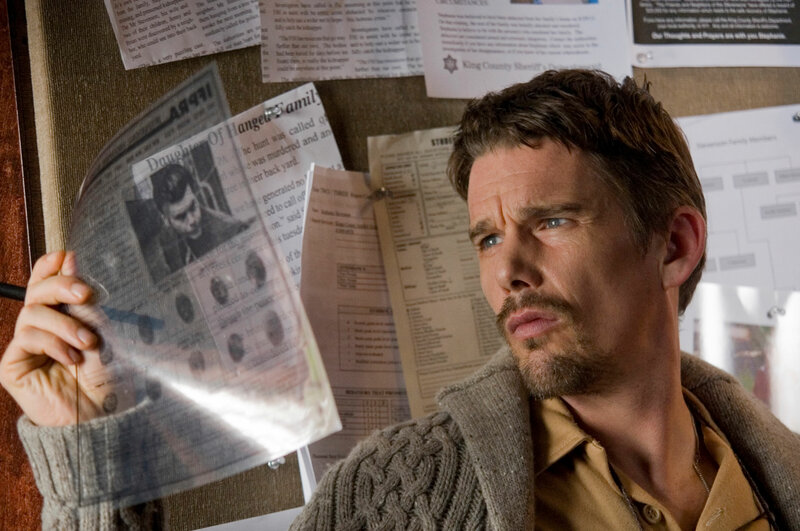 The set up for the film is that true crime author Ellison Oswalt (Ethan Hawke) moves his family to a new town so that he can write his new book about some grizzly murders that happened there: a quadruple hanging. Of course, Ellison decides to move the family into the exact house where the hangings happened (unbeknown to his family) so that he can draw inspiration from the surroundings and maybe uncover a thing or two about the unsolved murders. But Ellison uncovers a box of film in the attic that explicitly details a series of brutal murders all featuring a rather evil looking presence. Obviously, I can’t divulge much more, but that’s the premise. But is it any good? Well, it’s a mixed bag. I also can’t help but feel that Sinister and Insidious have more in common than a single word title. Let me make this clear: I thought Insidious was an OK horror movie that had a solid narrative… for the first 2/3 of the film. That last act was appalling and looked like it was shot in a high school drama class. Honestly – the “make up” on the “big bad red faced demon” was abysmal. That whole ending left a sour taste in my mouth. But the main problem with Insidious and Sinister is their reliance on the aforementioned LOUD NOISES! The films rarely employ true terror or fear. The vast majority of the jumps come from cheap amplified noises. This isn’t horror. This is just making people jump. I could pop a balloon behind you right now and you’d jump. It’s not horror or terror – it’s surprise. This is why I can’t really say that Sinister distinguishes itself from the pack. It’s more of the same. I will however say that the plot, whilst supernatural and a little forced, works well. I enjoyed the general premise of the film as a whole and I really must commend Ethan Hawke here. He seamlessly holds the film together and really slogs it out on-screen. It’s refreshing to have a horror movie that’s genuinely well acted by its lead protagonist. One thing I’ve got to mention though… since when did Johnny “Drama” Chase from HBO’s Entourage (RIP) start acting in films? In the trailers I swore that Ethan Hawke was Kevin Dillon – they look almost identical. I was half expecting to see Turtle and E run on-screen and make the film into a total Bromance (yes, I loved Entourage, and can’t let go of it). But getting back on track: Hawke is brilliant. That’s not to say the rest of the cast are slouches, but they never stood out in the same way. James Ransone‘s Deputy was the comic relief and Juliet Rylance ably portrayed Hawke‘s wife, Tracy, but the children? Eh… less noteworthy. They’re no Pierce Gagnon, that’s for sure. Can’t we cast him in all films from now on? And cast Tom Hardy in there too? I’d pay. If you shhh it makes the LOUD NOISES even LOUDER!! Whilst I wouldn’t say I was disappointed by Sinister, I almost knew what I was going to get from the outset. As soon as I see all of these “terrifying”, “you won’t sleep at night” and “best horror of the decade” quotes I’m immediately suspicious. 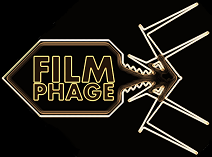 Especially when they come from small-time horror film sites about as big as Film Phage – hey, it’s true, we’re small time here (for now…). I just feel that either the standards for horror are slipping, or that people have forgotten what it’s like to be truly terrified by a film. Maybe I’m just hard to scare in that regard, but I didn’t feel tense or have an feeling of horror for the entire runtime. It was just interesting. I still say that nothing has come close to capturing the nuanced horror of Rec or even The Ring upon first viewing in a darkened cinema. There’s just too much emphasis on cheap jumps as opposed to psychologically terrifying someone. Although it’s lambasted, you’ve got to credit the original Paranormal Activity for at least trying this and making people doubt their own eyesight. A clever innovation. A clever innovation that will not be found in Sinister, despite Hawke‘s best efforts. The only thing truly sinister about Sinister is how they managed to amass so many positive quotes from fellow critics that made the film seem the equivalent of a live-action ritual sacrifice with demons emerging from the lacerated corpse. Instead what we have is a film with a solid plot and a dodgy sound system that spikes way too often. I’ll say one thing: Sinister beats out The Possession as best horror film I’ve seen in the past few weeks, but considering that’s its only competition that’s not saying much. With only Paranormal Activity 4 and perhaps Silent Hill: Revelations still to go, it could be another very unscary Halloween. LOUD NOISES!!! This entry was posted in Review and tagged children, demon, Ethan Hawke, horror, Insidious, Kevin Dillon, loud noises, murder, pagan, Paranormal Activity, Sinister, true crime. Bookmark the permalink. First things first–awesome site design! 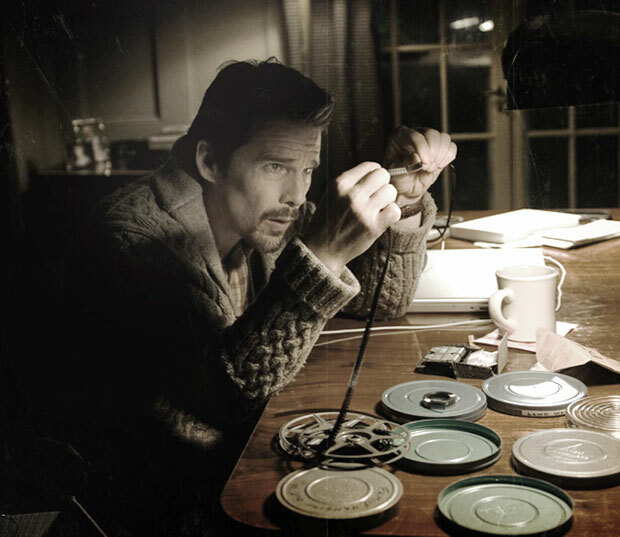 I expected “Sinister” to be very much like every other found footage film only this time, we have Ethan Hawke thrown in. It is almost sad that we all can pretty much predict what will happen next in films like these. Brilliant assessment you have going on between both “Sinister” and “Insidious.” I really think the “Paranormal Activity” series of films are a bit over done. There is only so much you can do with films like these. Now for true horror–check out what South Korea is doing with their films. The best Hollywood can do right now is mass produced “found footage” films–with intensely loud special effects.